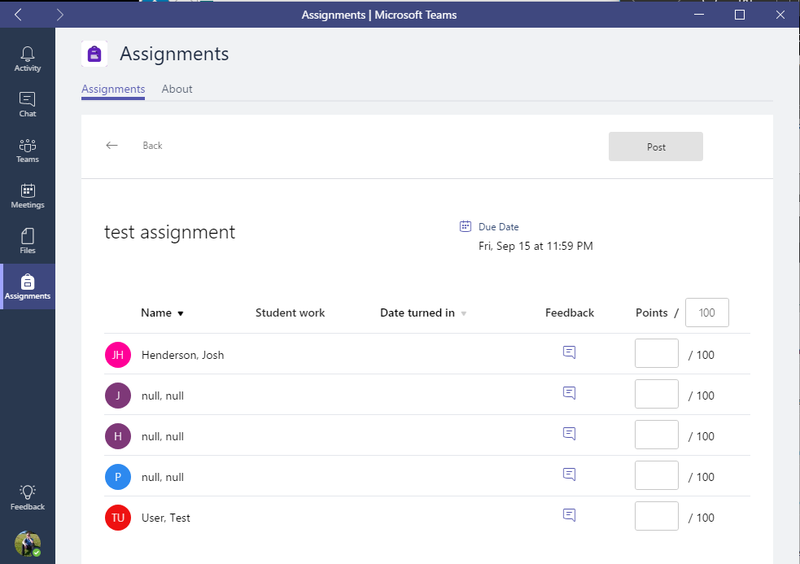 Today I tried out the assignments functionality available in the EDU version of Microsoft Teams. In this post I describe how this work and the issues that I found on the way. I didn’t want to go for just normal users. I included a few guest accounts. 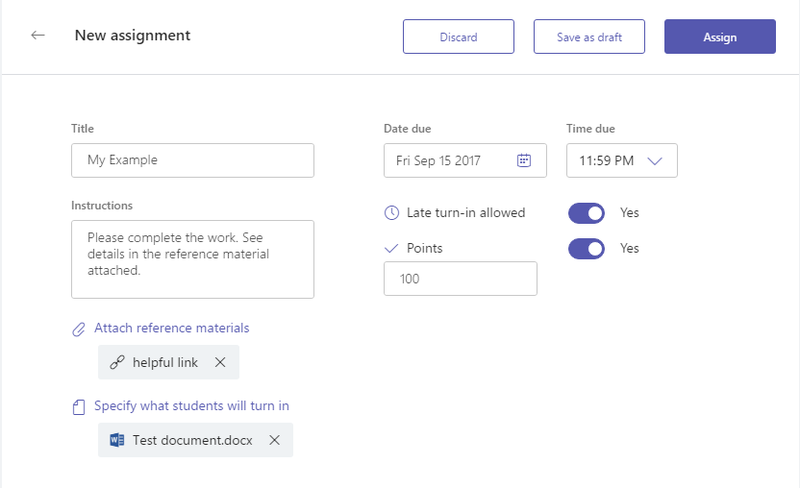 The New assignment form makes it possible to specify details about the assignment. 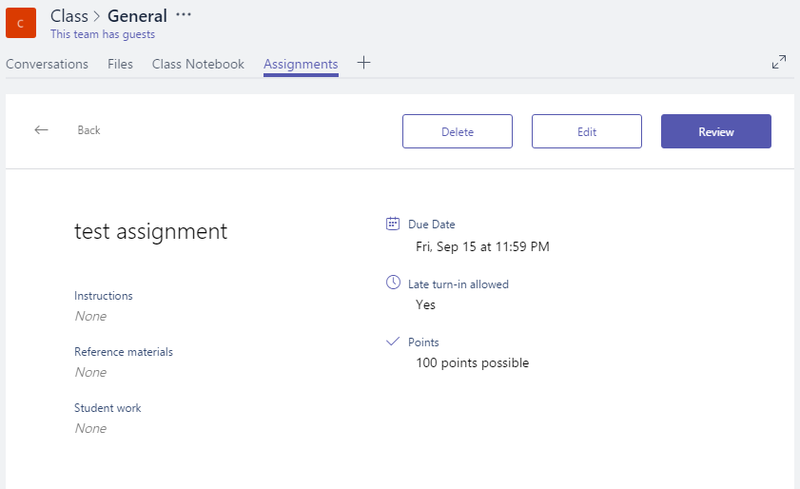 Even options for turning in late and points are available. Once the assign button has been clicked the assignment is ready for the students to be picked up.In my case there should be some student with guest access. Oops there are a couple of null,null names there. This seems to be an issue with the names for external users. It looks like assignments will only work for non-guest users for the moment. So then I tried with an internal user and it was possible to turn in the assignment. I can now see that the test user has submitted their assignment and as a teacher I’m now ready to give it some points. And the assignments overview shows how many students have handed in their work! 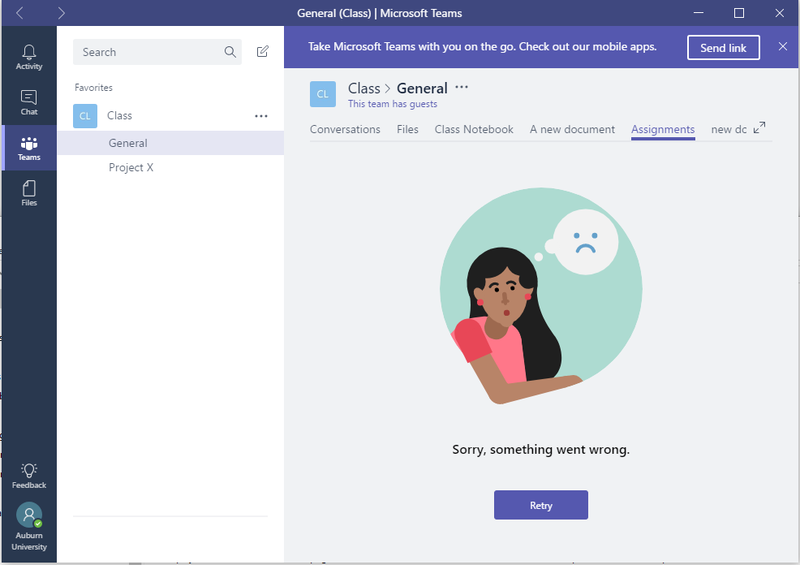 ‹ Microsoft Teams – Meetings with guest access. Did you get anyone to turn up? Thanks for the testing Pieter. I’m having an issue where the guests cannot see or at least cannot edit the OneNote Notebook. Could you test that as well please? Do you mean the class notes or just in general onenote files? I have found that class notes don’t work for guests. Teams doesn’t seem to find the class notes. Each type of Team creates it’s own Team OneNote notebook. E.g.a PLC type Team generates a PLC notebook that one could theoretically use for collaboration. That is the Notebook I’m referring to.